THE BEST LEGAL REPRESENTATION AT AN AFFORDABLE RATE! GUARANTEED! Fix-A-Ticket, Inc., was established in 2011 and fights tickets in every court in California. Our team of attorneys has decades of combined legal experience and knowledge – they FIX TICKETS! When you have been cited for a traffic violation, an experienced ticket attorney is a good person to have on your side. Each case is different and therefore needs specific attention. We know the laws and regulations, we know the court and DMV processes and we have the knowledge, experience and ability to design the best strategy for your case. Fix-A-Ticket, Inc., has put together a team of excellent attorneys to make sure you get the best possible service and skill. 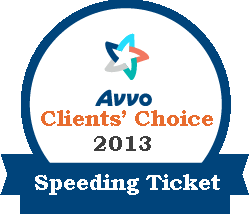 Our lawyers are knowledgeable in the areas of speeding tickets, out of lane violations, log book and cell phone violations, suspended licenses, and much more. We Do Not Refer You to a Law Firm … We Are Your Law Firm! Fix-A-Ticket, Inc., is not a referral service it is a full service law firm. We pledge to return your calls/emails within the same day or as soon as possible. We pledge to answer each of your questions and concerns. Unlike many other ‘ticket busting operations’, which may charge much less money we have a licensed attorney and a highly trained legal assistant handling your case from start to finish. We will see you through the process and make sure you are satisfied with the services we deliver. Whether you received your ticket in Los Angeles, Fresno, San Diego or even Eureka, Fix-A-Ticket, Inc. works hard to protect your rights, because we … FIX TICKETS! Jason Miller is a 2001 graduate from UCLA where he did his undergraduate studies, majoring in Political Science and History. Jason Miller graduated from Southwestern Law School in the fall of 2005 in the top 20% of his class and passed the California Bar exam in June of 2006. 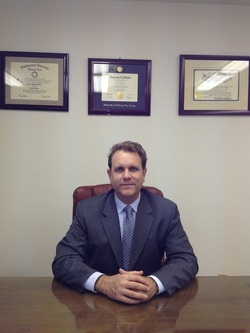 There after he began working at a small civil litigation firm were he gained experience in all aspects of litigation to include conducting and defending depositions, participating in meditations and settlement conferences, preparing expert witnesses, discovery and much more. Jason Miller began Fix-A-Ticket Inc., to help California drivers better understand and defend themselves against traffic infractions. Jason Miller married in 2006, he and his wife have a 4 year old child. Together, they enjoy the outdoors, especially long walks and hikes with their two dogs and child.